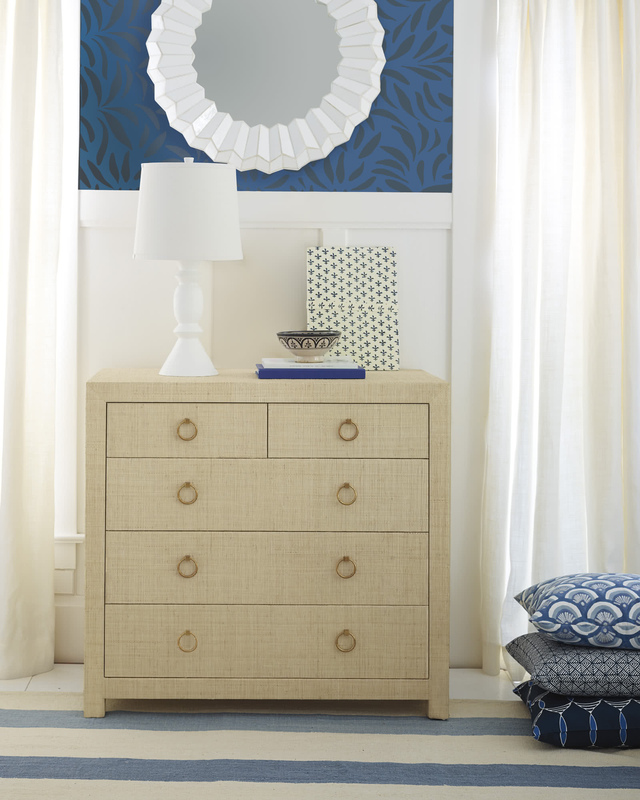 Blake Raffia DresserBlake Raffia Dresser, alt="Blake Raffia Dresser, "
Print We’re building on Blake’s beloved look and adding a dresser to the mix. 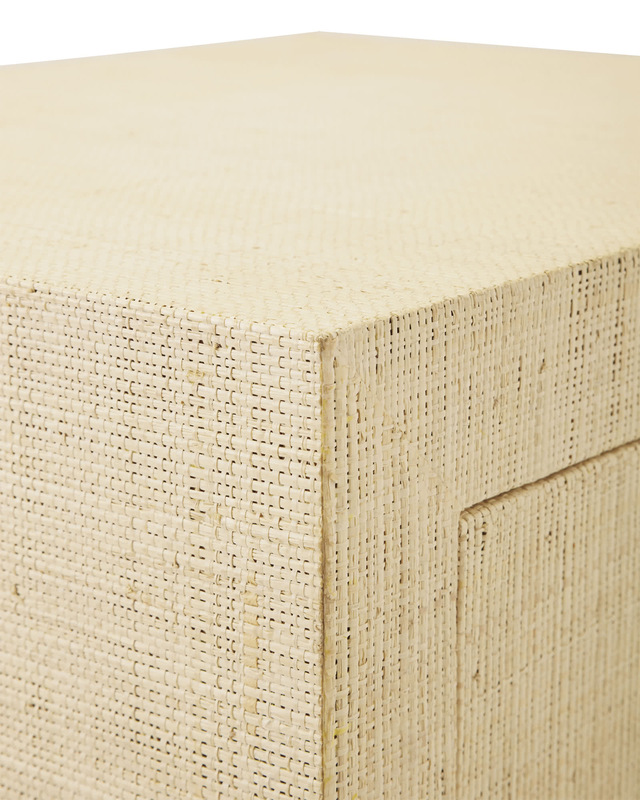 Like the coffee tables that started it all, woven raffia is wrapped by hand around a sturdy wood frame, then given five coats of clear lacquer to protect the finish. 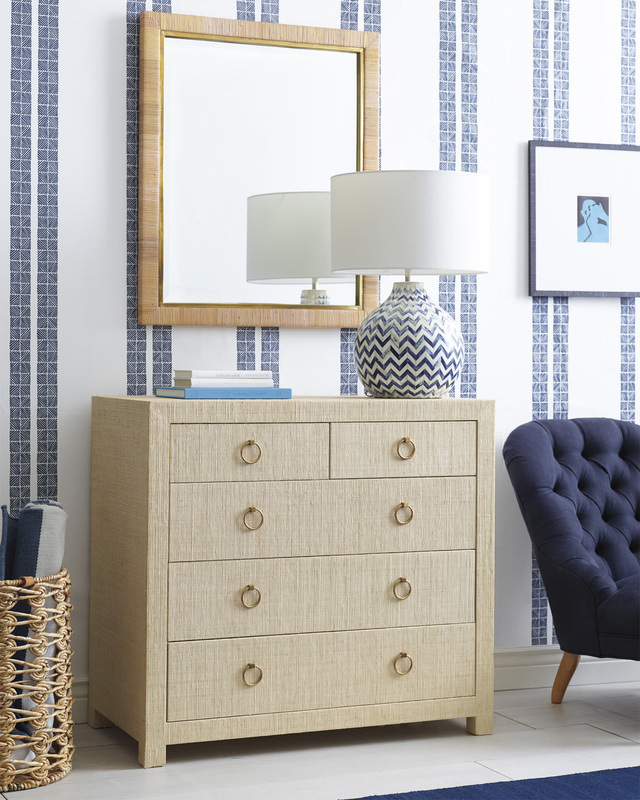 Part beachy, part modern, it’s a room-changer that doesn’t skimp on storage or style. 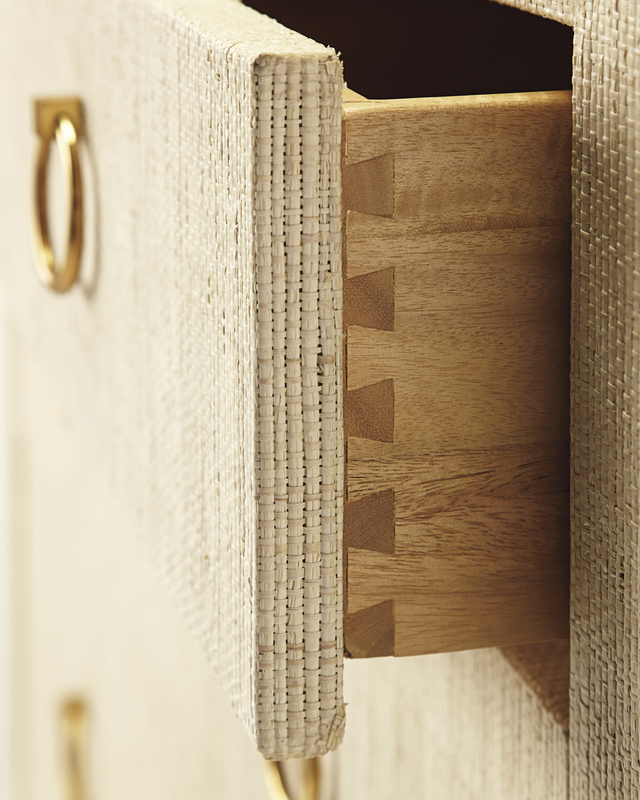 Frame is solid hardwood and engineered wood, hand-wrapped in woven raffia (including the back). 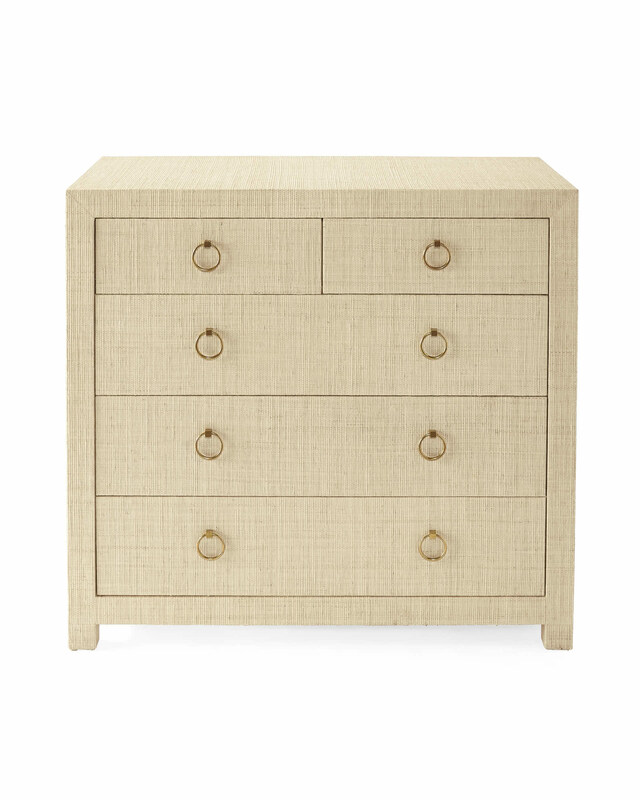 Drawers are made of solid hardwood and maple veneer. 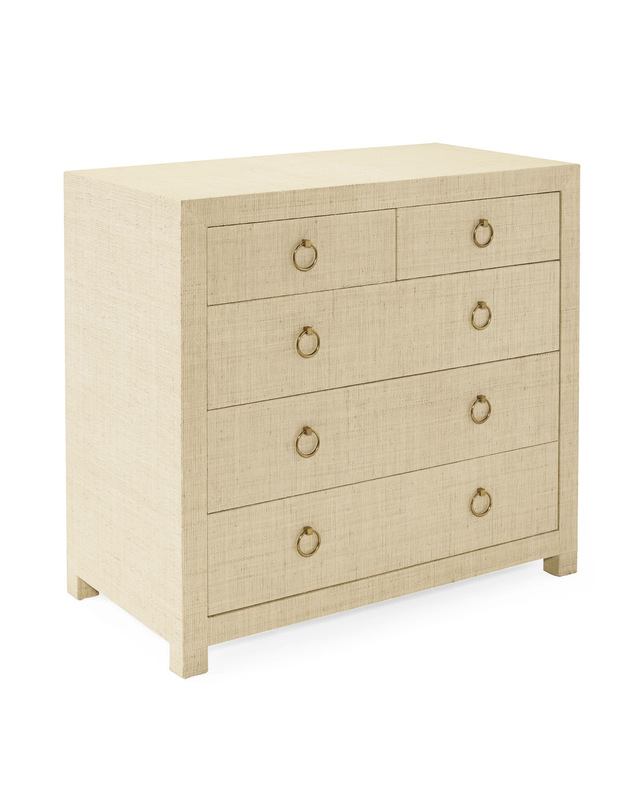 5 drawers with wooden glides. 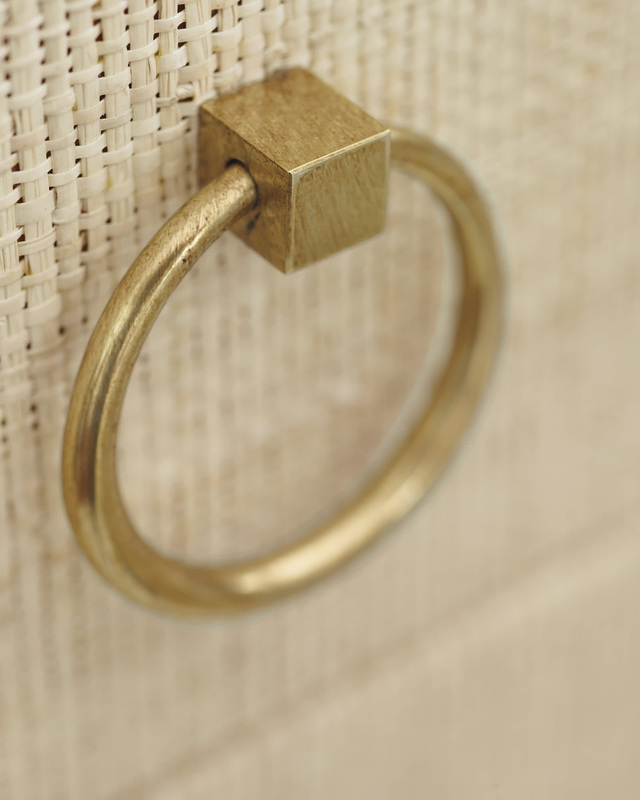 Solid brass ring pulls with antiqued brass finish. 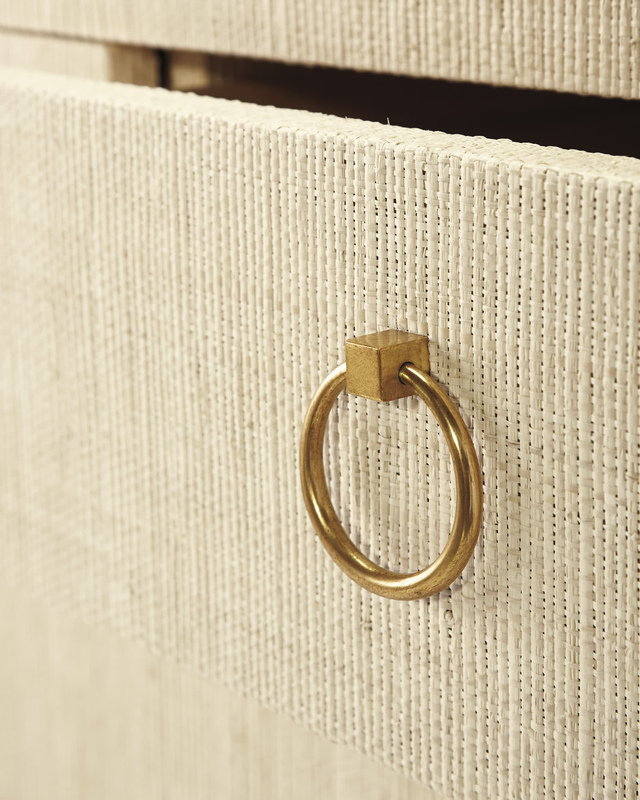 Raffia has a golden hue. Natural variations in tone make each piece unique. 40"W x 21"D x 37"H overall. 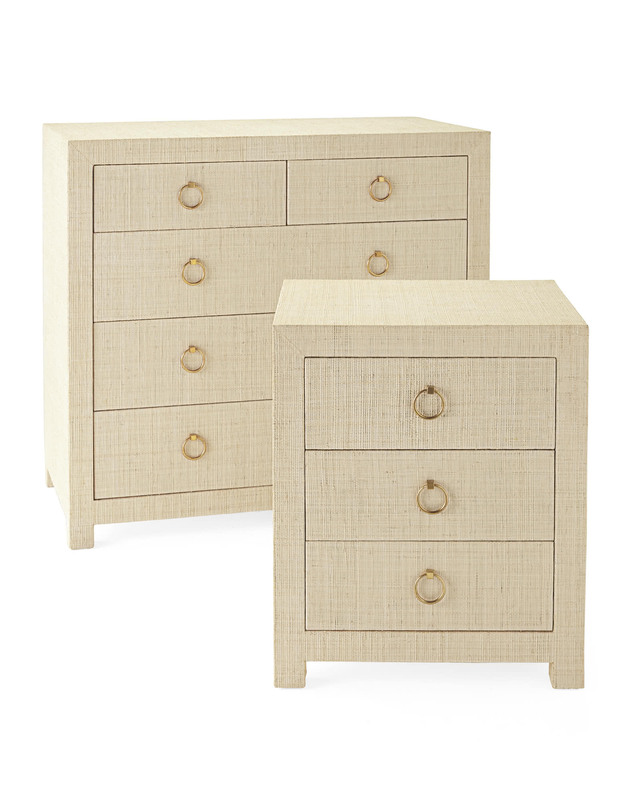 Small drawer interior: 16"W x 18"D x 4"H.
Large drawer interior: 34"W x 18"D x 6"H.